This option is no longer available as the event has passed. Please note: tickets are issued for the date advised and are not race specific. 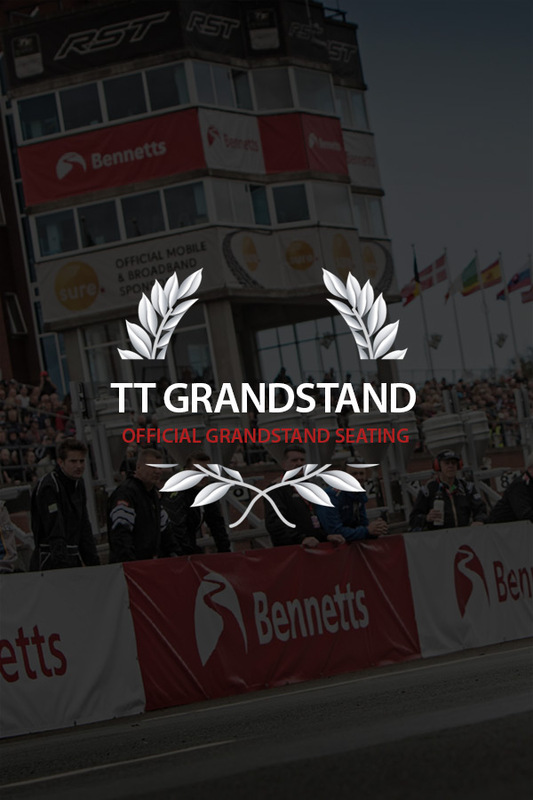 The Grandstand on Glencrutchery Road is one of the icons of the Isle of Man TT. Quite rightly it has become a place of pilgrimage for dedicated fans from across the globe. If you're a hardened follower or a newbie you really should watch at least one race from the Grandstand - there's nothing else like seeing the top riders in the world screaming through to start another lap or seeing the slick pit crews in action. You're also at the very heart of everything that goes on in the world of TT and you've got all of the paddock at your feet. The food stalls and merchandise tents are handy and so is the loo! This grandstand operates on an allocated seating basis. Please bear this in mind when booking as you won't be able to move seats on the day. Please contact our sales team on +44 (0) 1624 640 000 if you wish to confirm location of seats. Please notify us of any disabled access requirements at time of booking. Please note: tickets are for specific days. In contingency situations races may be moved to the following day in which case tickets will remain valid. We cannot exchange, refund or transfer tickets unless the event in question is cancelled or no practice or racing takes place on both the specified date or the subsequent day. This is part of the Duke Marketing Purchase Policy and customers agree to this when purchasing tickets. *Please note - your booking is only confirmed once you receive a confirmation notice from us. If you have any questions, or have not received a confirmation. Although you will receive a confirmation email and a dispatch notice at the time of your booking, tickets are not printed until closer to the event - we do not anticipate mailing tickets until July 2018 at this stage.